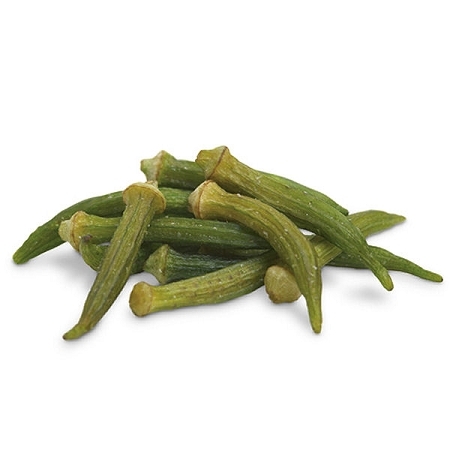 Okra chips are incredibly crunchy and are a tasty and healthy treat. They are deep green in color and have a light, yet crispy texture. Lightly salted and made with non-hydrogenated canola oil.